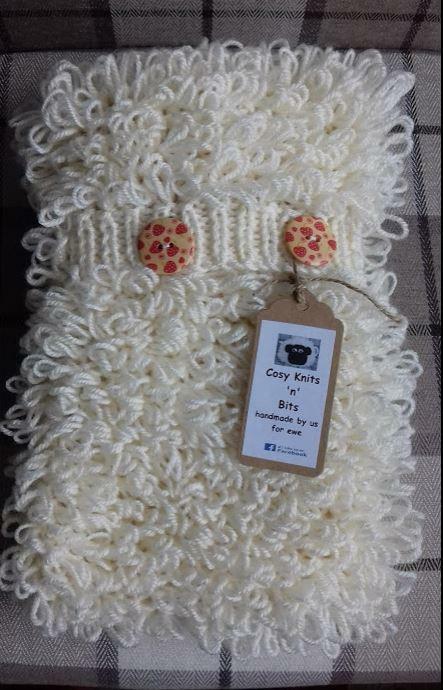 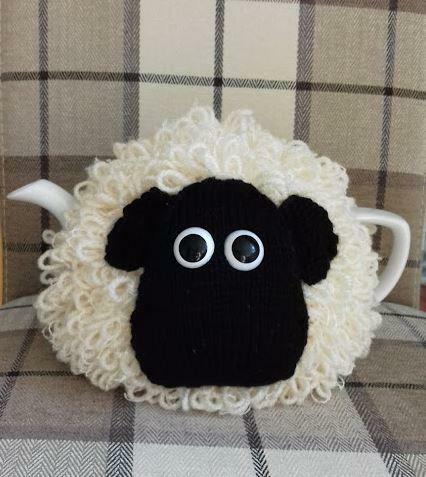 Hand Knitted Sheep Hot Water Bottle Cover, with wooden button fastenings and a 1 litre hot water bottle included. 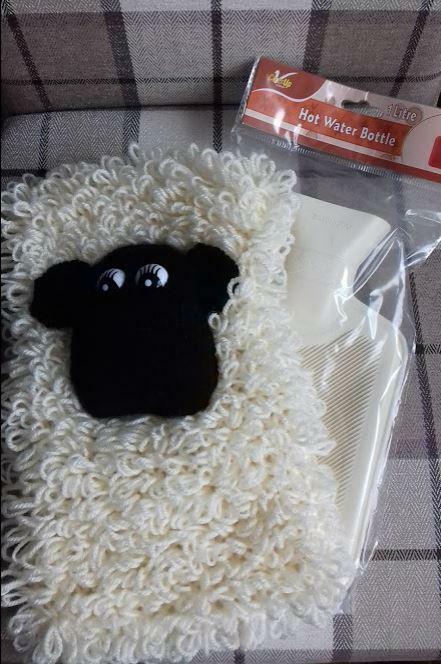 Colour of hot water bottle may differ from picture. 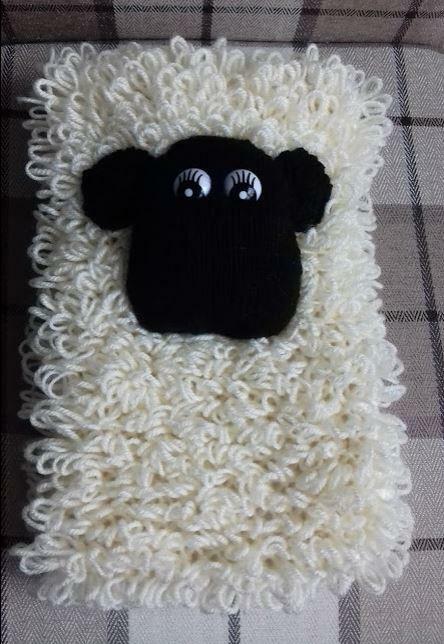 Although safety eyes have been used the item is not suitable for children under 3.